With two of the highest single-season goal campaigns on the all-time top ten list, Brett Hull would be named a First Team All-Star while winning the Lady Byng, Hart Memorial and Lester B. Pearson, all within 2 seasons. We have a stick used by the superstar along with a pair of skates. 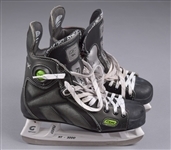 The stick is a Nike Graphite model with inserted wooden Christian Puck Master blade, used in circa 1996-97, with “Hull” discernible, stamped over the inserted blade stem. 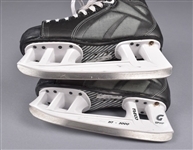 The stick has the original black tape over the blade and white over the handle, with wear to the taped section of blade along with surface wear to the shaft. 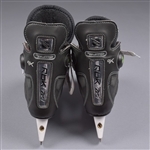 The skates are Reebok 9K Pump models with Graf Cobra NT-3000 blades, with intact lacing along with “Brett Hull” stickers on each underside. 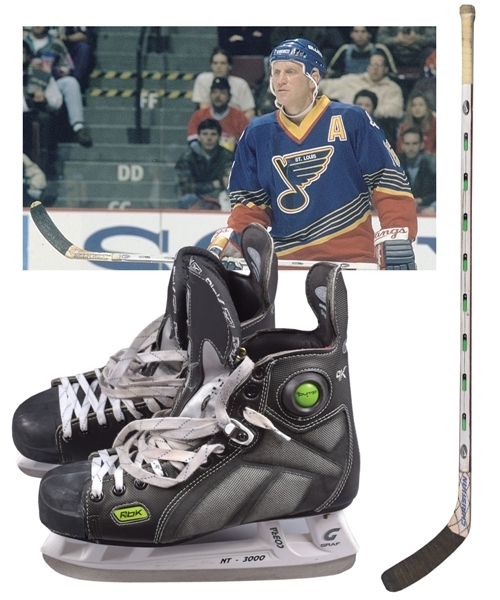 A signed LOA from Brett Hull will accompany.